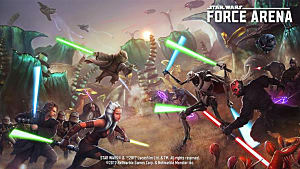 Star Wars Force Arena has several leaders to choose from for both the Rebel Alliance and the Galactic Empire. Of course, your overall deck is still very important to implementing your winning strategy, but choosing the right leader to control your units can tip the scales to victory faster. This guide is going to rank each leader for the Rebel alliance so you can easily see which ones you need to go for. Lando is not completely terrible, but definitely the weakest of the leaders. If used correctly, he can send out more units than other leaders since his ability randomly gives him 1-2 energy when he uses his skill. His skill swaps the cards out in his hand for new cards. Not bad, but definitely only useful in certain situations. Sabine is a wild card. Her ability increases the attack power of ally units that use explosives by 25%, which is amazing in a plethora of situations. The problem is, there are only two units that use explosives and they can die easily. Her skill does 300 percent area damage, which is nice, but her passive can get you killed. After firing consecutive shots, she dashes forward with a melee attack. 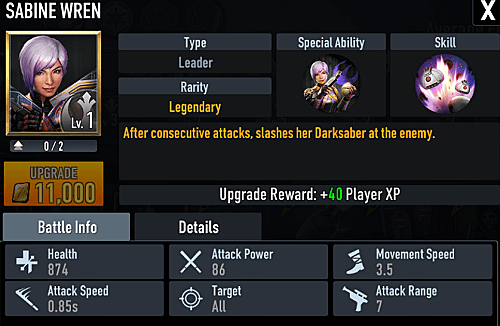 If you get her unique unit, Fenn Rau, she is much better. Baze is a decent character, but he suffers from his ability being unusable without his unique card. As long as Chirrut is alive, his attack speed increases by 25 precent. His Buster Shot skill does good damage to gine or multiple targets, but overall, he isn't that much better than other, more reliable leaders. Bodhi Rook is actually a decent leader, and even better in 2v2. His special ability reduces the damage his structures and land vehicles take by 20 percent. This does not include the turrets and shield generators you start with. His skill makes him a support character because it calls in supplies that can either restore energy or health. It is also usable by anyone. Leia's special ability gives a permanent 7 percent speed boost to her units, which helps them get to turrets much easier. Her skill also calls in three honor guards, which helps you overrun your opponent when you already have units on the battlefield. Her overall weak build keeps her from placing higher. Ezra's ability is pretty good if you can charge it multiple times. If Ezra's HP is less than 40 percent, all of Ezra's units gain 10 percent attack speed. He has a decent amount of health but is a melee character, so it could go down fast. His skill is a strong area attack that can help save some units. Luke can provide mixed results. Sometimes he is overpowered and does a lot of damage in a short time. He also has a lot of health, so he can rush turrets or shield generators. But if he is focused, he isn't as much of a threat. 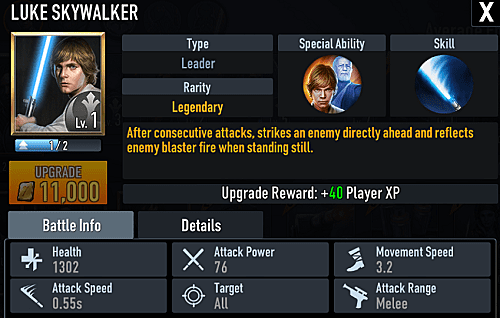 What really makes Luke good is his unique unit, Ben Kenobi. Ben can change enemy units into allies, which can instantly turn a game into a win if used at the right time. Luke's ability also causes him to deal 20 percent more damage for 30 seconds, or until death, when Ben is defeated. Since most of this is only useful with the unique card, he isn't ranked higher. Jyn can turn games and has a great ability and skill, which increases the attack power of her units by 18 percent when there are more enemy turrets up than ally turrets. Her skill uses a sniper rifle to deal 400 percent damage to a distant enemy. Combining these makes Jyn a fantastic character, especially if you need to make a comeback. 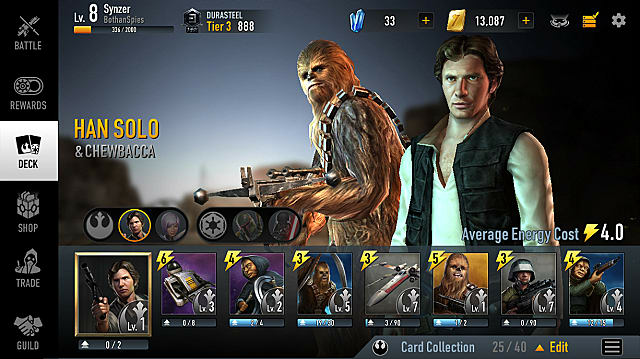 Han Solo's skill alone is worth being in S tier. He places a trip mine on the ground that deals 500 percent attack power when stepped on. The best part is that you can place multiple mines at one time. You can put mines in one lane to protect it from the enemy, then use them to attack another lane. His ability also gives him a 15 percent chance to deal 100 percent critical damage on basic attacks, which can add up to a lot of damage. 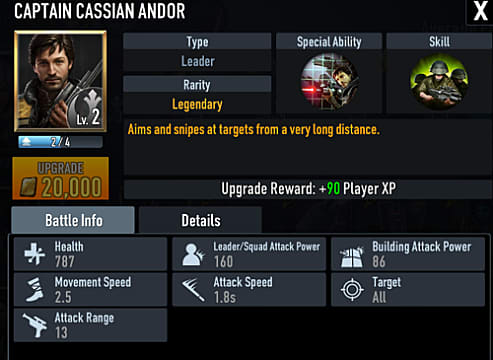 Range is the number one reason Cassian is one of the best leaders in the game and deserves his own tier. He has almost twice as much range as any other range leader in the Rebel Alliance and can hit turrets outside of their firing range. For this reason, he can go solo to a lane to attack a turret and send all units to another lane. His ability also increases the range of his ranged units, so you can attack people and turrets much faster. His skill calls in 2 ranged units, so you can have even more on the field at once. Destroying turrets is how you win games, and it is hard to beat Cassian at that. 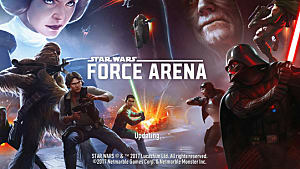 That's it for my Rebel Alliance Leader tier list for Star Wars Force Arena. Let me know what you think and if you would rate them any differently!